A thoughtfully designed shared grocery list app. Syncing with family members takes only moments, and will keep your grocery lists in sync for the rest of time. 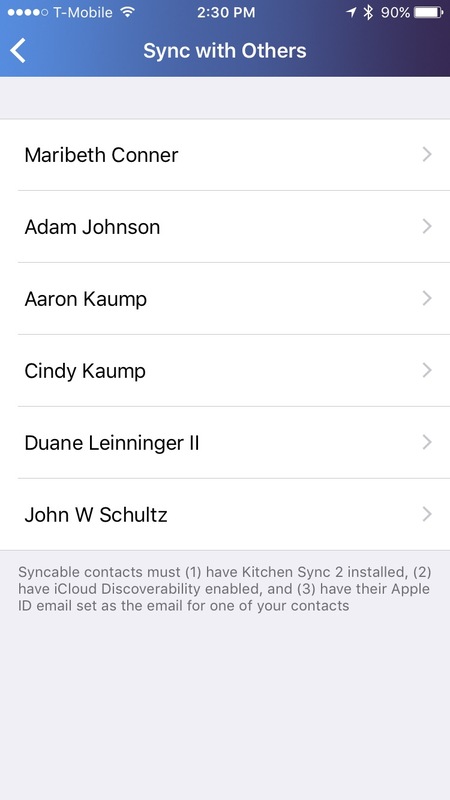 Kitchen Sync makes it quick and easy to add items to your grocery list. As soon as you notice that you're about out of milk, make sure your throw it on Kitchen Sync. Kitchen Sync gives you the ability to reorder and rename aisles to match your local super market. When you go shopping, items will automatically appear in the proper order. Rest easy knowing that your pantry is fully stocked.